If you own an animal shelter or lovely pets then browes our pet website templates which helps you to build your own site. These templates are suitable for animals, animal care, cats, adoption centers, dogs, donation, pet grooming, green peace, wildlife saving, non-profit, pet care, pets, animal shelter website and other pet service companies. 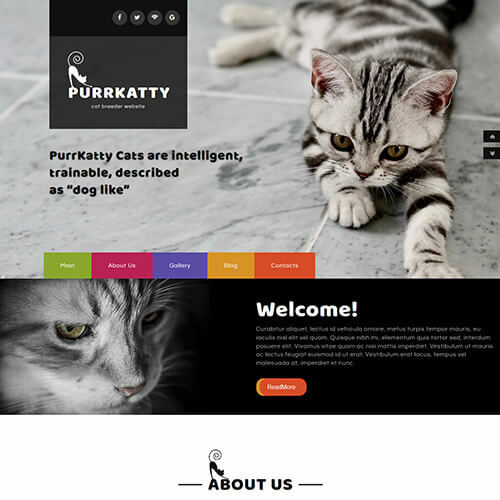 Grab our pets and animals category website templates to expand your pet business and boost profits around the world. All the templates are entirely built using HTML5, CSS3, JQuery and Bootstrap framework. Features like carousel vertical slider, catchy hover effects, light box effect, font awesome icons, blogs section, clean and elegance style of design in every details are included in the template. Play the demo which you like for better understanding!